IBM® Security zSecure™ Audit for Top Secret enables you to detect and report security events and exposures on mainframes running CA Top Secret. It supports monitoring and auditing of controls for IBM z/OS®, IBM MQ for z/OS, IBM DB2®, IBM Customer Information Control System (CICS®), IBM Information Management System (IMS™), UNIX and Linux on IBM z Systems® CA Top Secret products. 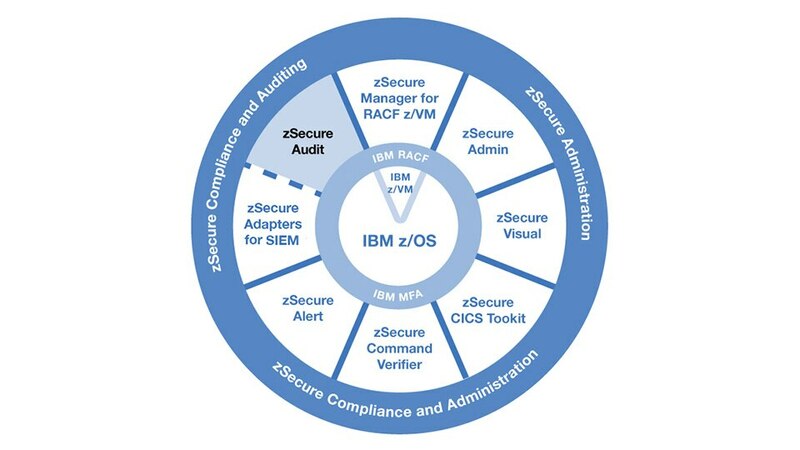 zSecure Audit for Top Secret provides integration with IBM Security QRadar® Security Information and Event Management (SIEM) to help ensure the mainframe is included as part of enterprise-wide security monitoring. Track and monitor security baseline and sensitive resources to help minimize the risk of exposures and costly breaches. Access live security data on mainframes running Top Secret, delivering up-to-the-minute audit accuracy. Offers extensive coverage of Systems Management Facility (SMF) records and predefined event reports to enable you to report on user behavior and identify users who can circumvent system security.